A trip to Glacier National Park in Montana is on many bucket lists around the globe. In May 2018 I was one of the lucky people who got to experience GNP for a few days. Initially I only planned two days in Glacier, but I added two more because the weather was so nice. 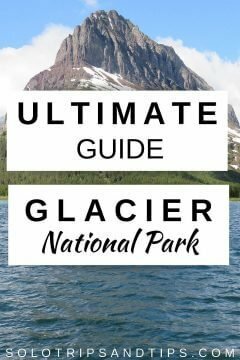 I guess this is my solo travel guide to visiting Glacier National Park, but it’s good info for anyone that wants to spend a day driving through the park or several days exploring and hiking in the Rocky Mountains. Many people travel to Glacier to drive Going to the Sun Road – one of the most scenic drives in America. My visit to Glacier was directly after visiting Yellowstone National Park on Memorial Day long weekend. It took me around 8 hours to drive the 500 mile road trip from Jackson Wyoming but if you stay in West Yellowstone it should only take about 6.5 hours to get to Glacier. Flying in the closest airport is Glacier Park International Airport in Kalispell Montana, 30 miles from the west entrance to the park. 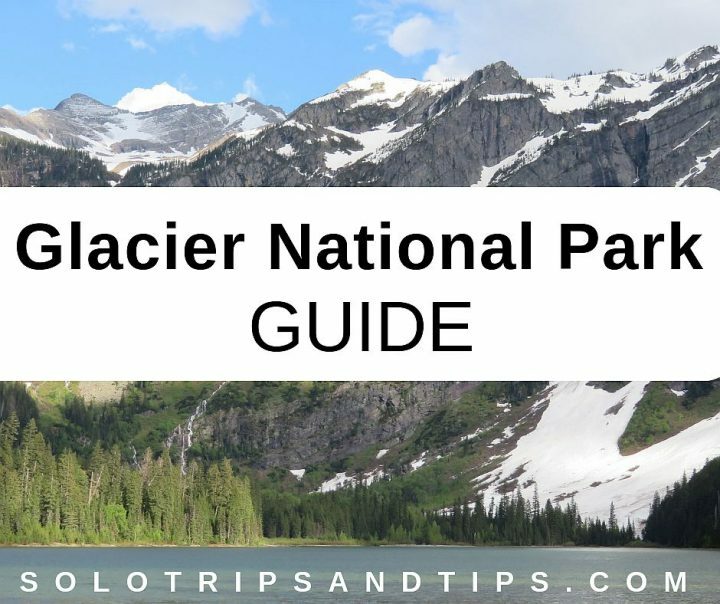 Now let’s look at things to do in Glacier National Park and some details to help you learn more about the park and plan your trip. Should you stay in West Glacier or East Glacier? Is Going to the Sun Road open? How long does it take to drive GTTSR? Is my vehicle too big for GTTSR? How many days in each park? July through August is peak high season at Glacier so hotels and reservable campgrounds are often fully booked weeks in advance. Less crowded + good weather: It’s best to visit Glacier in June or late September for fewer crowds and good weather. May and October are also good months to visit Glacier to avoid the crowds but Going to the Sun Road may not be fully open. Don’t worry there’s plenty of things to see at Glacier even if GTTSR is closed. Best weather: Warmest weather conditions are during the busiest season of July and August. Cheapest prices: For the cheapest prices in Glacier you want to hit that sweet spot in between high season and low season. Aim for early to mid-May or September through October. The distance between East Glacier and West Glacier is 56 miles and takes about one hour to drive via Hwy 2. If you take Going to the Sun Road it takes around 2 to 2.5 hours to get from West Glacier to the St Mary visitor center – same if you take Hwy 2 and Hwy 89. 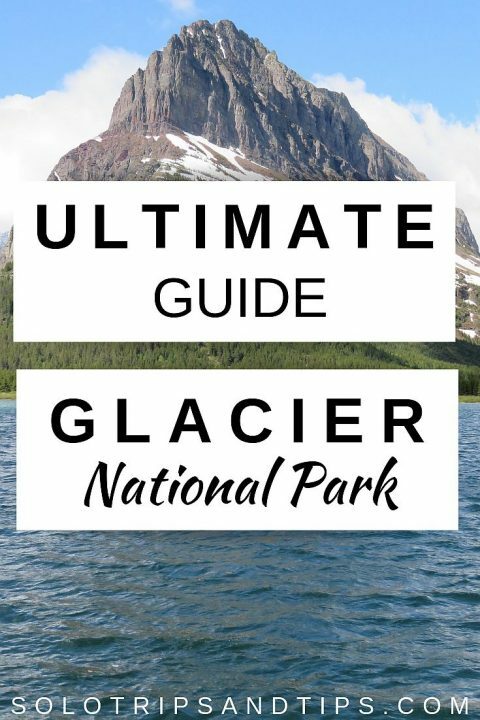 Grab a handy map of Glacier National Park here – it’s the National Park Service map that you’ll get when you visit the park. It’s nice to have a map beforehand so you can get familiar with some of the names and locations within park. There are pros and cons to both, and it depends on your interests, time of year, and how much time you have to visit the park. When I visited in late May to early June 2018 all the hotels in East Glacier weren’t open yet and West Glacier was closer for me driving up from Yellowstone. East Glacier is known for the area called Many Glaciers Valley where it is common to spot wildlife alongside the road. 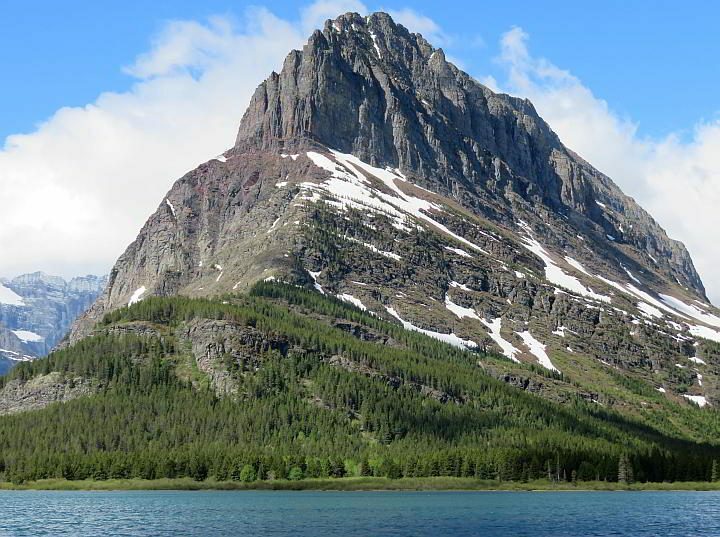 If your main objective is to see wildlife, then East Glacier is probably the best bet. West Glacier has Apgar, the biggest campground with 194 sites. 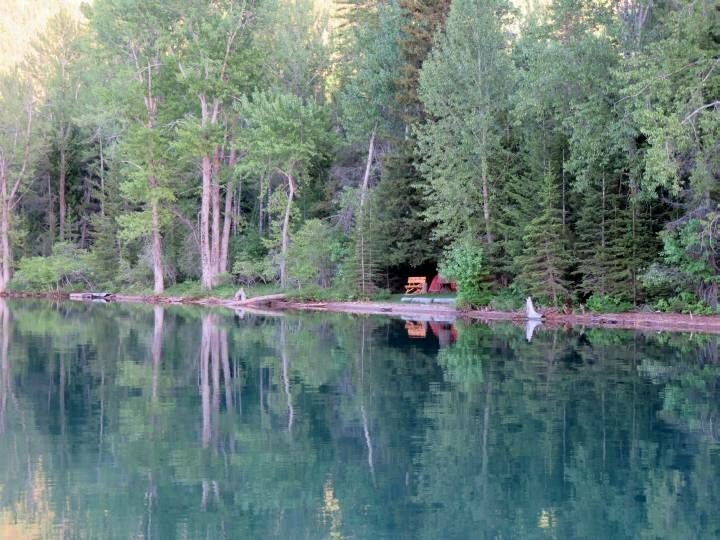 The campground is located near Apgar Village with a store, visitor center, restaurant, shuttle service, and boat rentals. There are also more hotels located outside of the park but close enough to drive in daily. If you are driving from Yellowstone National Park then West Glacier is closer, so that’s what I chose. 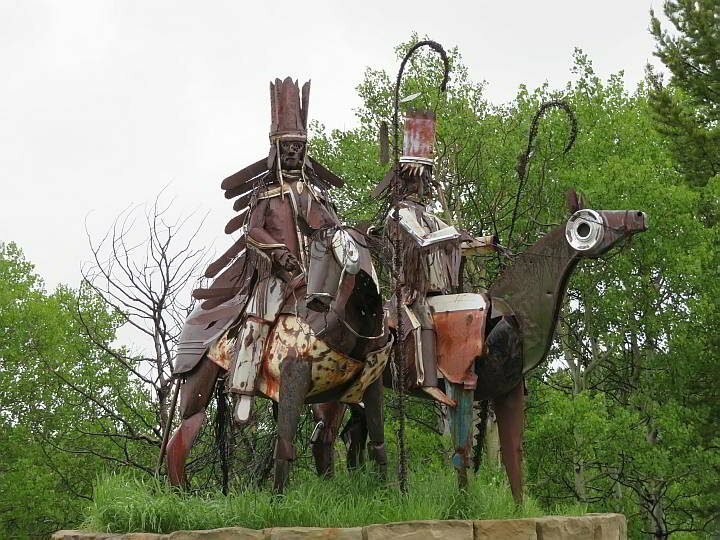 Before the European settlers arrived in Montana the land was home to several Indian tribes. The Blackfeet Nation, with a reservation of over 1.5 million acres, is located adjacent to East Glacier. Before the area became designated as a national park the Blackfeet enjoyed hunting, fishing, timber, and entry rights to the land. The US government ruled that after the land became Glacier National Park it was no longer public land and thus the Blackfeet lost their rights to the land. 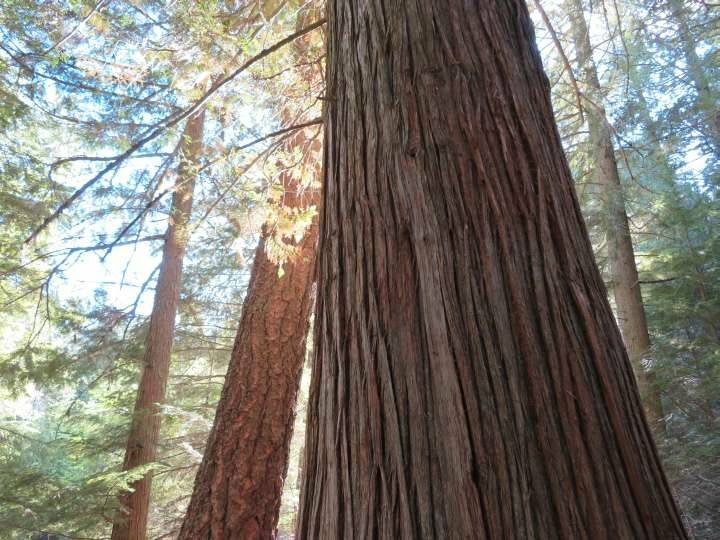 Read more about indigenous rights and US national parks in this article from the College of Forestry and Conservation, University of Montana. 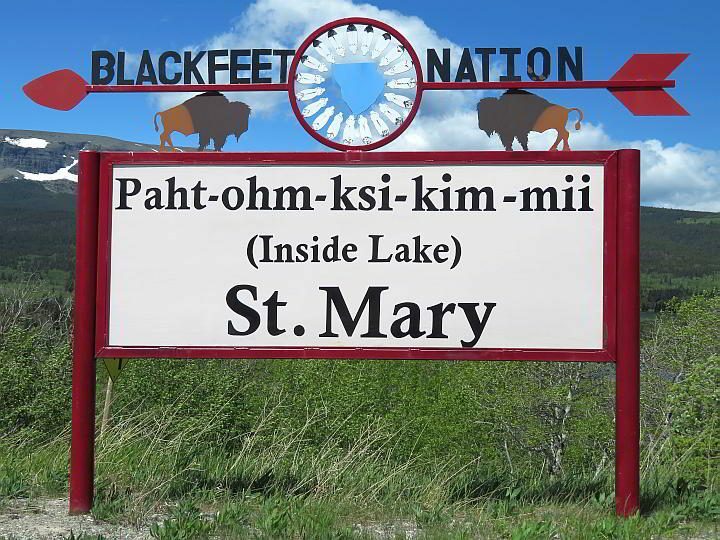 At St Mary Visitor Center there is an informative exhibit that shares some of the experiences of the Blackfeet people. You can visit the Blackfeet Nation website for info and their plan to reestablish the bison herds in Montana and the plains region of the United States. In July and August you can attend events where members of the Blackfeet, Salish, Kootenai,and Pend d’Oreille tribes share the culture and history of Native Americans. You can check the schedule here. Most people drive to Glacier National Park, but you can get between east and west Glacier without a car. Once you get into Glacier park there is a FREE hop-on hop-off shuttle bus along Going to the Sun Road. The shuttle service operates between Apgar Visitor Center and St Mary Visitor Center from July through Labor Day weekend, weather permitting. Leave the driving to your Red Bus Tour guide and enjoy the scenery in Glacier park. 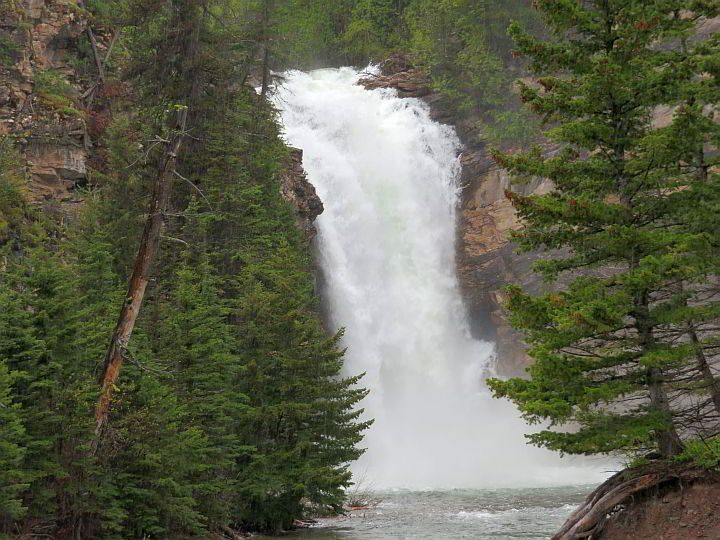 Tours operate from both the east and west sides of Glacier National Park. Get more info and book a tour here. Prices start from $55. The buses have retractable rooftops for the ultimate sightseeing in the Rockies. All of the Red Bus Tour vehicles have been in operation since the 1930’s. 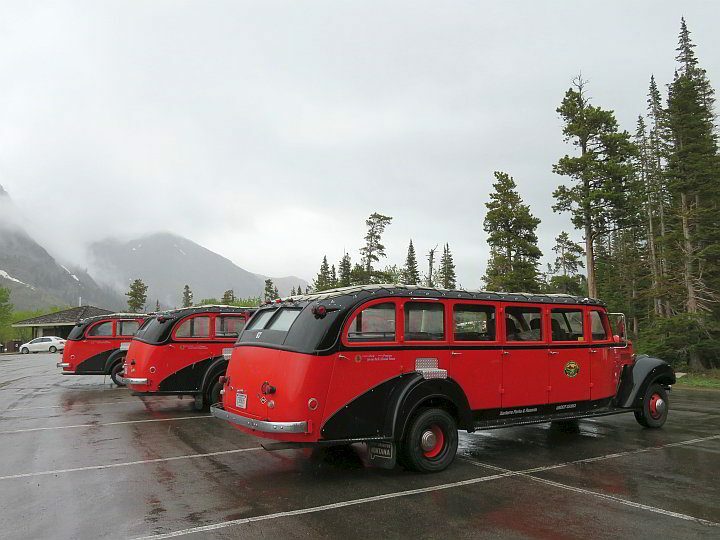 Each of the Red buses is estimated to be worth around $250,000 today while the original cost in the thirties was $5,000. Biking the GTTSR is considered one of the best bicycle trips in America. During full moons there are plenty of bikers doing the 50 mile (80 km) trip under the lunar illumination. In 2018 there was a free bike-shuttle service from Lake McDonald Lodge to the gate at Avalanche Creek. I’m not certain if they will offer this service in 2019, there is no info on the NPS website as of this writing. Usually GTTSR is open by late June to early July and stays open until the third week of October. But that doesn’t mean it will this year! Remember that the opening and closing dates do not follow a firm schedule. Watch this video of snow plowing Going to the Sun Road. Every year the opening date for Going to the Sun Road is different because it is dependent on the weather and the snow pack. It takes up to 10 weeks to plow the road before opening in spring. In 1990 the Going to the Sun Road did not open until June 18 and it closed on October 4th. So far that makes 1990 the shortest season ever for GTTSR since opening in 1933. Portions of GTTSR are open year round. Without stopping it takes around 2 hours minimum to drive the whole 50 miles (80 km) of Going to the Sun Road. Weather conditions and traffic at Glacier park will impact how long it takes to drive from start to finish. Vehicles including bumper, trailers, etc longer than 21 feet (6.4 m) or wider than 8 ft (2.44 m) including mirrors are prohibited between Avalanche Campground and Rising Sun picnic parking area – that’s about 28 miles (45 km) of the GTTSR. Any vehicle over 10 feet (3.05 m) in height may have difficulty going west from Logan Pass due to rock formations overhanging the roadway. Gas up before you get into Glacier Park because there are no gas stations at Glacier National Park. None. Zero. Zilch. Also note that several of the roadways in Glacier are seasonal. Download offline Google Maps before you arrive because there is almost no cell phone service in Glacier National Park. You make get Wi-Fi at some of the lodges but don’t count on having cell phone service available in the park. Not only should you bring bear spray to your trip to Glacier National Park, but you also need to know how to use it properly. And no, the personal defense type of pepper spray is not the same thing as bear spray. Please watch this informative video to learn how to use bear spray and here’s a longer video from NPS about bear safety. You can purchase bear spray at Glacier National Park or at many stores near the park. You can’t bring bear spray canisters on an airplane so don’t buy before you fly! With over 700 miles of trails at Glacier National Park you are most likely going to do some hiking. The trails vary from short and easy nature trails to strenuous multi-day hikes. Pets are not allowed on the trails or in backcountry areas of the park. In winter time you can also go snowshoeing and cross-country skiing at Glacier. When you get to the park ask for the Day Hikes brochure – it includes several trail maps and basic trail info. Also ask the park rangers for recommendations on hikes to suit your skill level and desired type of hike. You can also check the AllTrails app before you get to the park – remember you will likely not have any cell service in the park. And you may want to grab a copy of Hiking Glacier and Waterton Lakes National Parks before your trip. While it’s not advisable to hike alone in bear country, especially in grizzly bear country, but you can always hang around the trailhead parking lot and wait for other hikers to show up. That’s basically what I did at Glacier when I got up early to hike Avalanche Lake on a rainy day. Pulling into the parking lot at Trail of Cedars I didn’t see any other cars. I took my time getting my hiking gear organized and putting on my rain jacket. Then another car pulled up, perfect! I asked the two women if they were hiking Avalanche Trail and they said yes, so I asked if I could tag along. We were not too far from the trailhead when we saw a group of hikers, parents and their kids. They told us they were about to turn back because they were nervous about bears. Now a group of eight hikers, everyone felt much more comfortable. 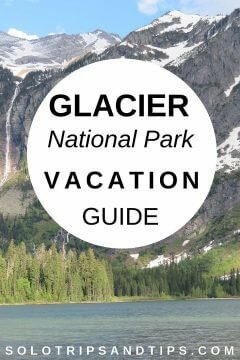 When visiting Glacier park alone you can attend ranger led hikes at the park or contact Glacier Guides to arrange for a guided hike anywhere from 1 to 7 days. The second time I hiked Avalanche Lake was late in the afternoon on a sunny day. I felt comfortable hiking on my own since there were many other hikers coming back down the trail. Eventually I met up with another solo hiker at the lake. I asked her if she hiked to the avalanche spot at the other side of the lake and she hadn’t so off we went to hike it together and back down the trail. We were the last hikers on the trail on the way down, so I was happy to have a hiking partner. Strength in numbers! There are lots of hikes around Lake McDonald, the largest lake in Glacier National Park. Trail of Cedars – One of the most popular easy hikes in West Glacier is also one of two wheel-chair accessible trails in the park. The trailhead is located at the Avalanche picnic area and it’s one of the shuttle bus stops. 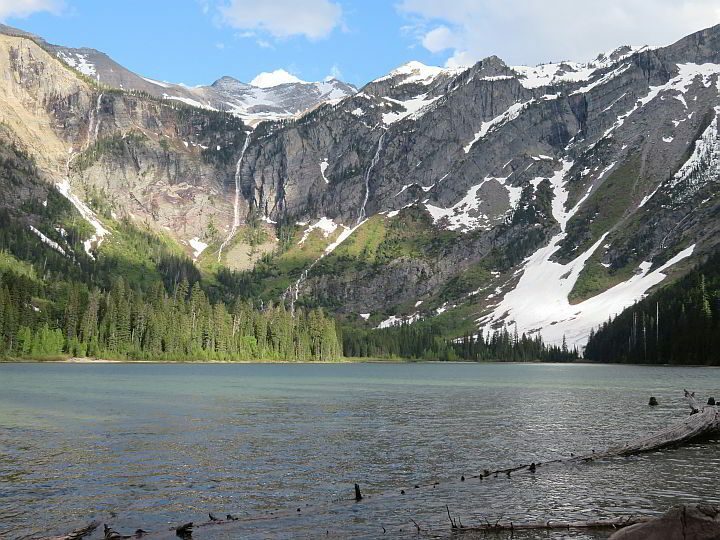 Avalanche Lake – The trailhead is accessed from the Trail of Cedars and it’s a great family hike for all ages. It’s rated as moderate and it’s such a beautiful trail with waterfalls and the amazing views at the summit. 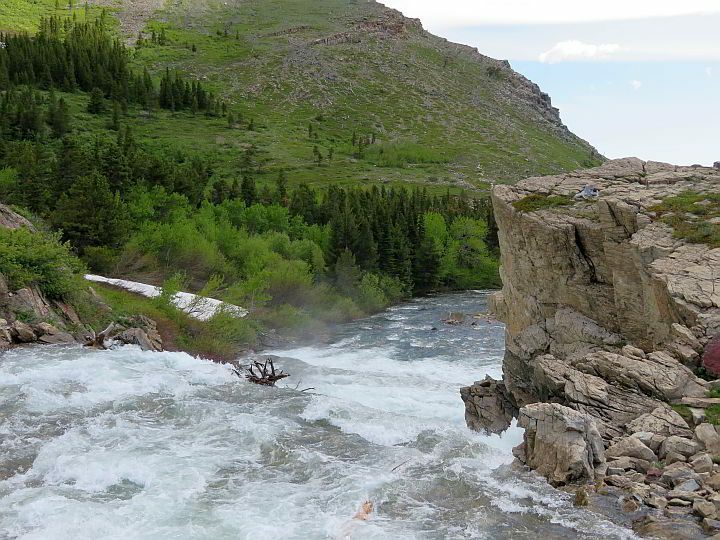 Sperry Chalet – A popular and more strenuous hike at Glacier, Sperry Chalet is rated difficult. The trailhead is accessed across the road from Lake McDonald Lodge. The Sperry Chalet dining room is open to day hikers during ongoing reconstruction after the Sprague fire destroyed portions of the chalet. 12.3 mile (19.75 km) out and back trail with 3,432 ft (1,046 m) elevation gain. Running Eagle Falls – This easy trail leads to a wonderful waterfall. Trailhead is located in between the lakes Two Medicine and Lower Two Medicine. 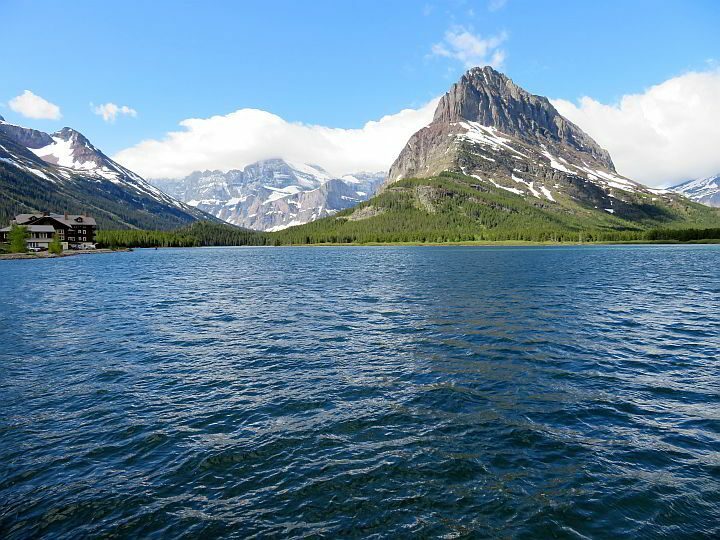 Grinnell Glacier – Take the boat across Swiftcurrent Lake and hike to the Grinnell Glacier for exceptional views. This hike is rated moderate. Access the trailhead via the shuttle boat at Many Glacier Hotel. 7.2 miles (11.6 km) out and back trail with 1,600 ft (488 m) elevation gain. Dawson Pass – Another trailhead that you can access via a boat ride, Dawson Pass is rated difficult. If you hike all the way from the trailhead at Two Medicine Lake add another 3.6 miles to the total hike. Pay the fee and take the boat across Two Medicine for a shorter version of the hike with same elevation gain. 9.4 mile (15 km) out and back trail with 2,450 ft (747 m) elevation gain. 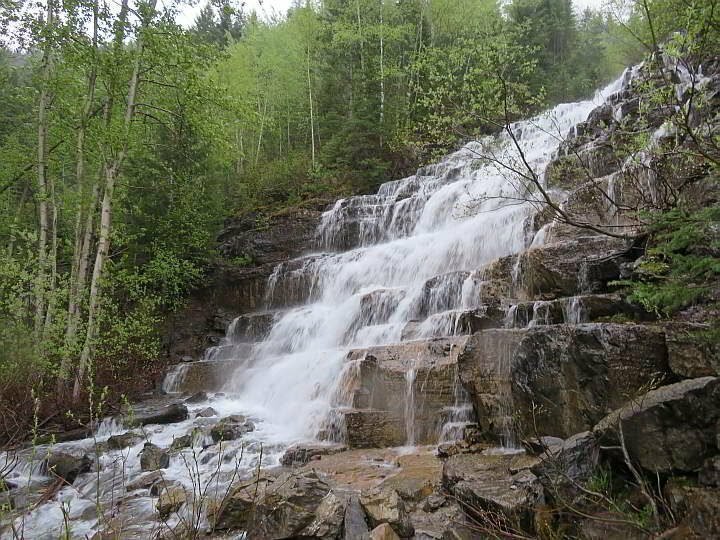 Running Eagle Falls – This 0.6 mile (1 km) loop trail has a beautiful waterfall. The trailhead is located in between Two Medicine Lake and Lower Two Medicine Lake, about 9 miles (15 km) from East Glacier Park Village. 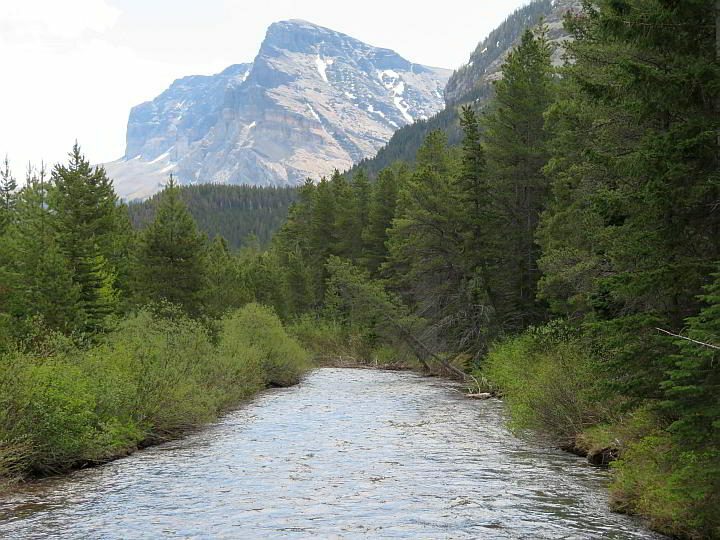 Swiftcurrent Lake Trail – This trail has an accessible portion that is currently only one-quarter mile long, but the plan is to make the whole trail accessible to visitors. 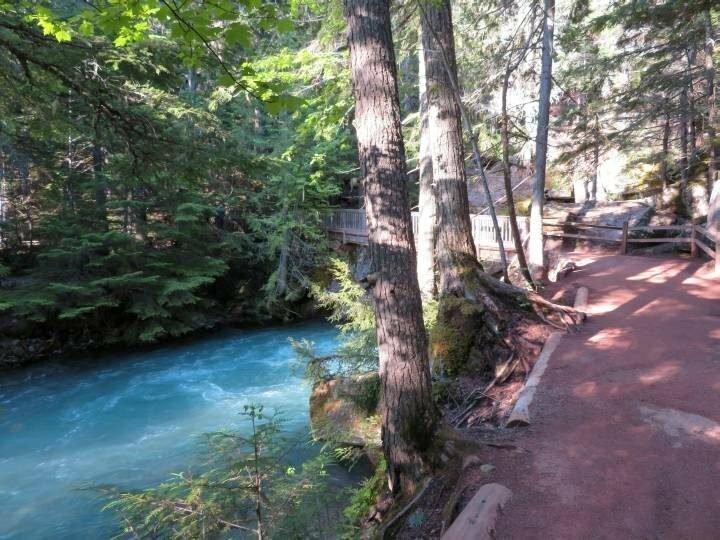 Trail of the Cedars – This is a 0.7 mi (1.1 km) trail through the cedar forest with beautiful views of Avalanche Creek. Trail of Cedars Trailhead is located on Going to the Sun Road, about 6 miles east of Lake McDonald Lodge. There is a parking lot but it fills up early in the busy summer season, but you can also take the free shuttle bus (all shuttles are ADA compliant) to Avalanche Picnic Area stop. 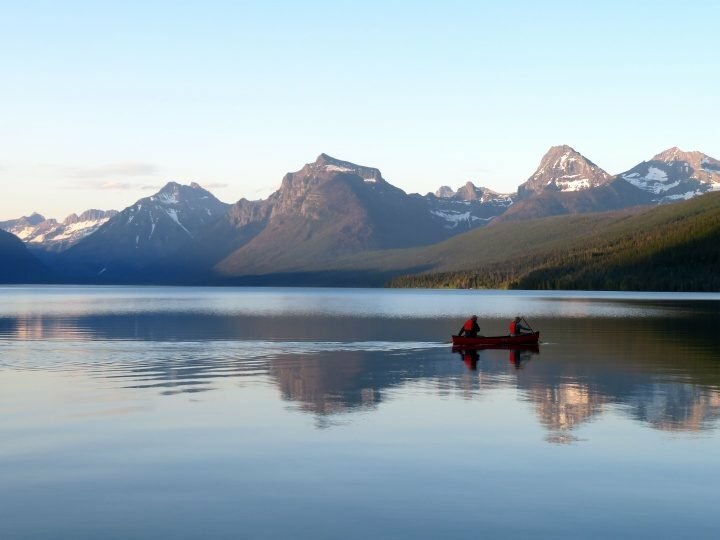 Bring your own kayak or canoe or rent all your paddling gear at Glacier National Park. The boat tour scheduled dates, times, and pricing vary with location – check the Glacier boat tour company website for more info. If you bring your own boat remember all gas powered boats require both an inspection and 30-day quarantine of the boat and trailer. The reason for the inspection and quarantine is to stop aquatic invasive species from inhabiting the waters. I took the boat tour on Lake McDonald and enjoyed it, especially due to the guide, Ranger Doug – see below. The man is a story teller with a good sense of humor, and he made the trip both informative and entertaining. Born in 1926 in Canada, Ranger Doug tells us he was an illegal immigrant to the United States at the age of 1 year old. Ranger Doug taught history for 35 years in Whitefish Montana and he clearly loves sharing his knowledge of Glacier National Park. 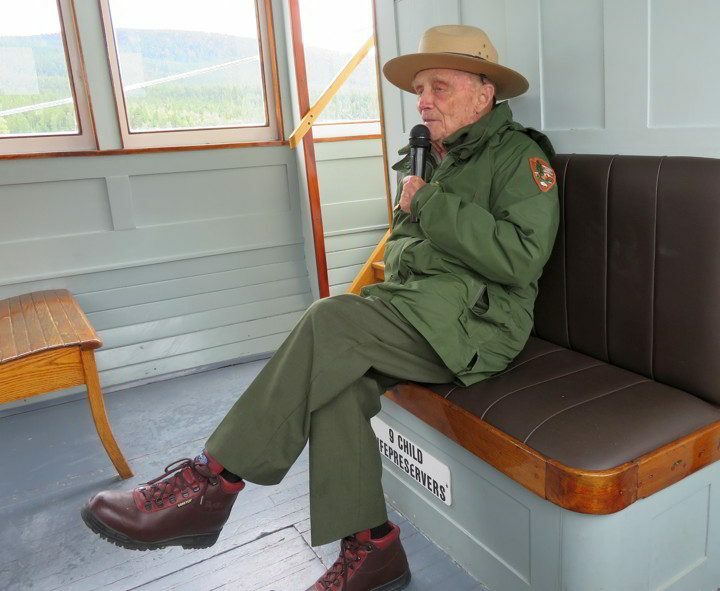 He’ll be 93 years old in 2019 and if you are lucky you’ll get to meet him or have the pleasure of taking the Lake McDonald boat tour with him. Here’s an article about Ranger Doug from 2016 when he completed his 55th year at Glacier. There are 13 campgrounds and over 1,000 campsites available in the park. Most of the campgrounds are sold on a first-come first-served basis. Have a look at the NPS site for all the info on campgrounds including maps, prices, as well as historic fill times so you can get an idea of what your chances are of getting a spot. These campgrounds at Glacier can be booked in advance – use the above link to book your campsite. There are several hotels and lodges in Glacier National Park, but they book up fast and some are quite expensive. You can have a look at the hotels in Glacier National Park Montana listings here and more here, and Some of the hotels on East Glacier side open a little later, around early June. Be sure to check the opening dates while deciding where to stay when visiting Glacier National Park. There were two backcountry chalets at Glacier, but Sperry is currently in the process of a rebuild after the Sprague fire of 2017. The completion date is not yet announced but hopefully Sperry Chalet will be back in operation in 2019. Granite Park Chalet – The smallest hotel in Glacier park is only open from June 29 through September 8 during the 2019 season. Granite Park Chalet is for folks who want more rustic accommodation. They have a full kitchen and you can pre-order food supplies from Granite Chalet website. The main reason to stay at Granite is for the hiking and guests usually spend one night but you can stay 2 or 3 and really explore the backcountry hiking trails. You don’t need a backcountry permit for your stay. Rates are $108 for one person, $80 for each additional person in the same room. Optional linen and bedding service is $25 per person. The following hotels are not located inside the boundaries of Glacier National Park, but they are conveniently located near the park. All of these hotels are highly rated by folks who stayed there – click on the links to read reviews, see photos, and book your room. You’ll notice there are more hotels near West Glacier. If you are flying into Montana the airport is west of the park. If you are driving south from Canada you’ll be entering at East Glacier. 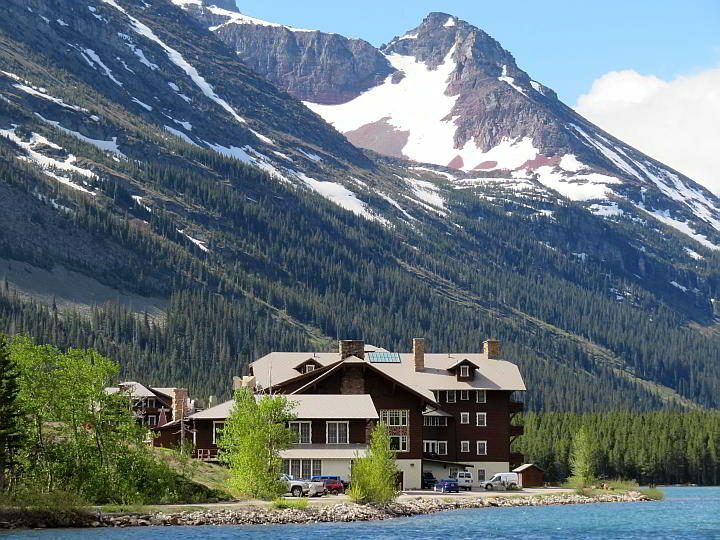 However you travel to Glacier National Park there are several options for accommodation. Read reviews and check availability and pricing now! Whitefish is 20 miles away and Kalispell is 26 miles away. Read the reviews and book your room now! Highly rated by guests – read reviews and book now! Regular style hotel rooms plus there’s a few cabooses and an engine turned into luxury lodgings. Restaurant, bar, hot tub, sauna – make it popular in winter for skiers. Have a look at photos and check availability now! Find available rooms and check for deals now! There are restaurants in the park and in nearby towns. 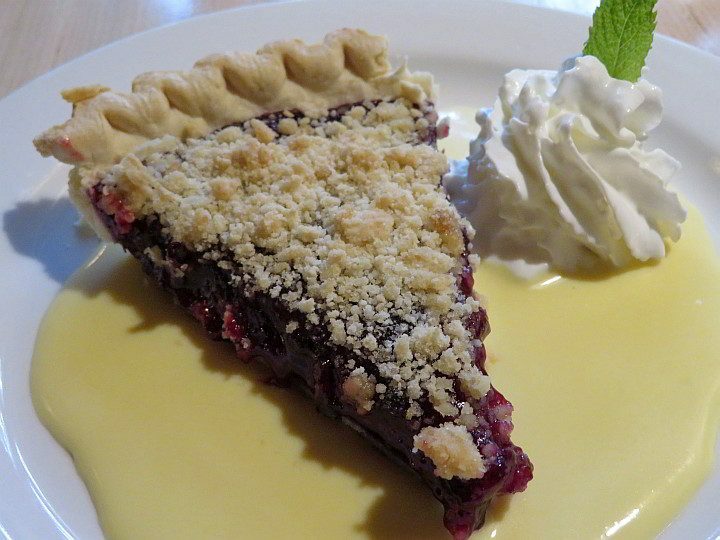 Since I stayed in Coram, I ate at a couple of restaurants in the town, but I also enjoyed meals at Lake McDonald Lodge and The Whistle Stop in East Glacier Park Village. Trap Line Cafe and Grill – I enjoyed a hearty breakfast at the Trap Line. Glacier Grill and Pizza – Good eats and bar. Try the buffalo burger! Russell’s Fireside Dining at Lake McDonald Lodge – A little more upscale but no reservations, casual attire is welcome. Very good menu selection. I had a salad with salmon and pie for dessert. 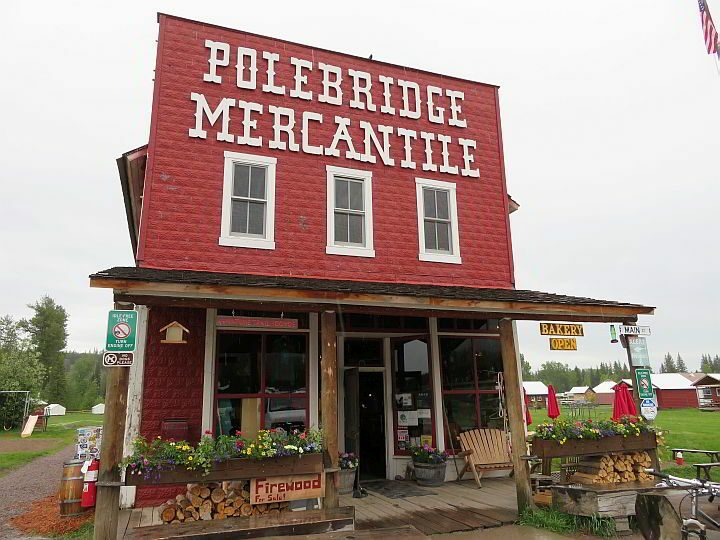 Polebridge Mercantile – Bakery with a great selection of pastries, cookies, and other yummy stuff! Closed until March 28, 2019. March 28 to May 23 open from 8 am to 6 pm. From Memorial Day to Labor Day 7 am to 9 pm. Polebridge is 25 miles from Apgar Visitor Center in West Glacier. I only ate at The Whistle Stop in East Glacier Park Village but there were several others such a Serrano’s Mexican Restaurant, Looking Glass Restaurant, and Two Medicine Grill. The Whistle Stop is where I ate a hearty breakfast one morning after driving along Hwy 49 – aka the scary highway! On a rainy day I drove the winding road from Kiowa to East Glacier Village, and I will admit I was afraid. At times I crept along at 20 mph (32 kph) and then I’d see a speed limit sign posted for 30 mph LOL! 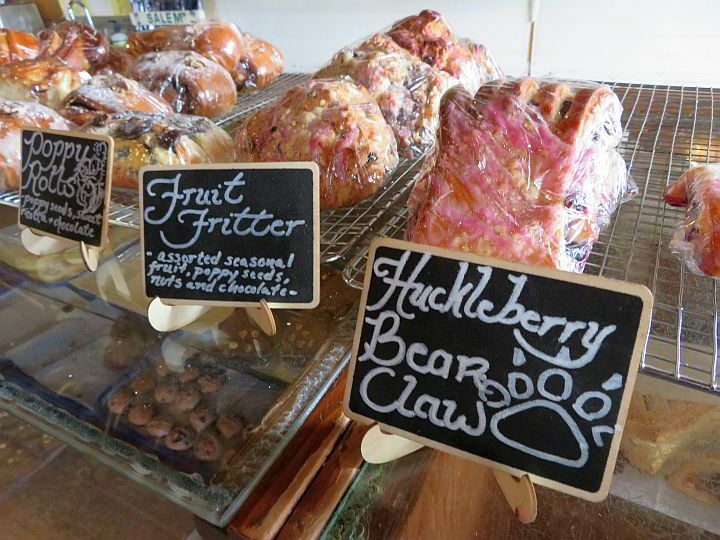 The famous Huckleberry Bear Claw pastry from Polebridge Bakery – I got the last one! 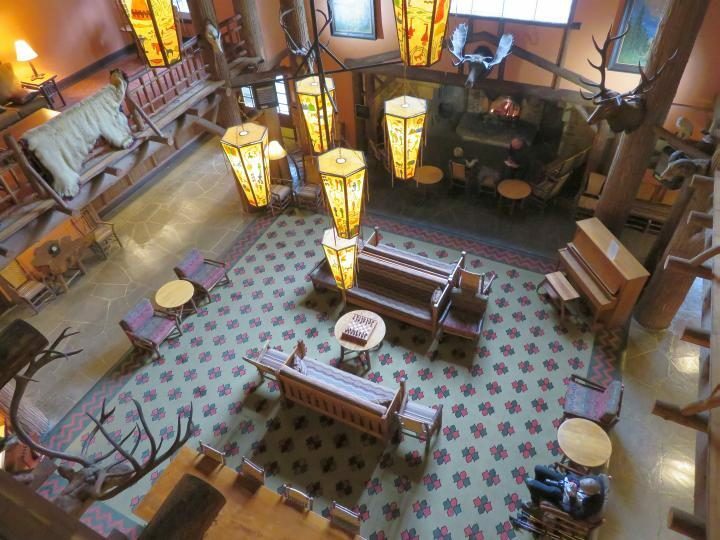 When you need some time to relax and reflect on the day’s events, I suggest a visit to the Lake McDonald Lodge. Grab a pint at Lucke’s Lounge and sit at the bar or enjoy your beer by the fireplace. Lucke’s also serves bar grub including bison burgers, salads, and sandwiches. After lunch I took the boat tour on Lake McDonald and returned to the Lake McDonald Lodge to warm up by the big fireplace. Then I got thirsty, so I drank a couple of beers with my new found friends around the fireplace and enjoyed an afternoon of music and conversation while the weather was gloomy. When I decided to visit Yellowstone on my road trip to Calgary from Lafayette Louisiana I figured why not add on a few more days and stay in Glacier too. Going at the end of May worked out well even though I visited Yellowstone on Memorial Day long weekend I found a great hotel in Jackson Hole. I paid a little more than my budget planned for but YOLO! You can start planning your Yellowstone trip using my handy guide. Not sure if you want to make the trip to Yellowstone? Check out 5 BIG reasons you must go! For Yellowstone at least 3 days is best and for Glacier at least 4 days to see both the east and west sides of the park. If you luck out and have perfect weather, you could see a lot in 2 to 3 days at Glacier. Get more information about both Glacier and Yellowstone at National Park Service website. 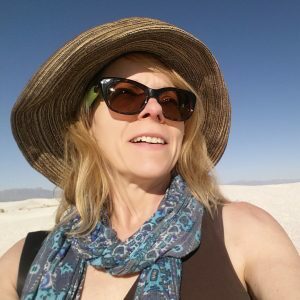 Visit Yellowstone National Park - 5 Big Reasons You Must Go!